Premier Athletics Club offers both Residential and Day camps each Summer, to provide additional opportunities for it's players and teams to further strengthen their skills and build Club and team camaraderie. Premier AC Residential camp is held on the third week of every July in the Summer. This camp is located at the Blue Ridge School outside of Charlottesville, Va. area. The camp has been in existence for over twelve successful years and has been voted one of the East Coast's best professionally organized and conducted camps by Southern Soccer Scene Magazine. The Camp features top US and International coaching. Click Here for more Summer Residential Camp information. Featuring our PAC trained and now DC United's starting goalkeeper, Bill Hamid, along with other professional players and coaches! 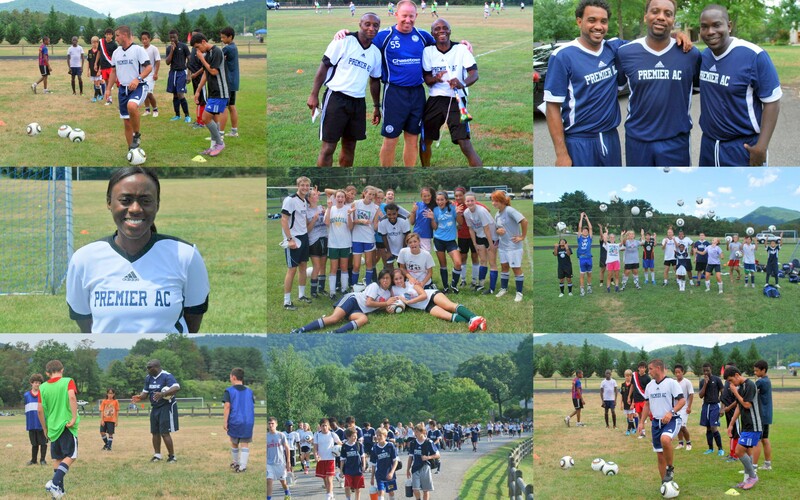 PAC Summer Day Camps - Premier AC offers several one-week day camps in Falls Church for it's teams and individual players. Players and teams will have the undivided attention of the PAC coaching staff in preparation for the Fall season. Click Here for more information on the Summer Day Camps. The 2018 Premier AC Summer Residential Camp, will be held July 15th-19th, at the Blue Ridge School in Charlottesville, Virginia. The camp as been in existence for fifteen successful years and was voted one of East Coast's best professionally organized and conducted camp by Southern Soccer Scene Magazine. Please reserve your player a spot for another week of great soccer learning, fantastic coaches, breath taking scenery and fun extracurricular activities. Sully Hamid: President, Premier AC, USSF ‘A’ License, NSCAA Premier Diploma, UEFA ‘B’ License. Both Spring/Summer Camps wil be held at Shrevewood Elementary School, 7525 Shreve Road Falls Church, VA 22043. Drop off begins at 8:30am, with core camp hours running from 9:00am to 3:00pm. Players should come to camp with appropriate soccer gear including cleats, shin guards, soccer ball, extra shirt, sneakers, water, lunch and a snack.